Winfield is also known as: Henry County / Winfield city. Zip codes in the city: 52659. Winfield is a city in Henry County, Iowa, United States. The population was 1,134 at the 2010 census. It was written on January 5th, 2014 that Russel Earl Cline passed on in Winfield, Iowa. Cline was 83 years old and was born in Johnson County, IL. Send flowers to express your sorrow and honor Russel Earl's life. It was noted by San Diego Union-Tribune on October 14th, 2011 that Lyle B Van Vranken passed away in San Diego Co, California. Van Vranken was 87 years old and was born in Winfield, IA. Send flowers to express your sympathy and honor Lyle B's life. It was disclosed by Escondido North County Times on October 13th, 2011 that Lyle B Van Vranken died in Solana Beach, California. Van Vranken was 87 years old and was born in Winfield, IA. Send flowers to express your sympathy and honor Lyle B's life. It was noted by Arizona Republic on July 31st, 2011 that Frances Lorena Allen (Swan) passed on in Mesa, Arizona. Ms. Allen was 88 years old and was born in Winfield, IA. Send flowers to express your sympathy and honor Frances Lorena's life. It was disclosed by Wapello Republican on May 12th, 2011 that Karen Ann "Kay" Morris (Hartman) passed on in Winfield, Iowa. Ms. Morris was 64 years old and was born in Philadelphia, PA. Send flowers to express your sympathy and honor Karen Ann "Kay"'s life. It was reported by Ocala Star Banner on September 2nd, 2009 that Verl W Gruver perished in Ocala, Florida. Gruver was 96 years old and was born in Winfield, IA. Send flowers to share your condolences and honor Verl W's life. It was noted by Quad-City Times on January 9th, 2003 that Luther Davis perished in Winfield, Iowa. Davis was 95 years old. Send flowers to express your sorrow and honor Luther's life. It was revealed by Quad-City Times on October 10th, 2002 that Gladys M Cutkomp (Jennings) died in Winfield, Iowa. Ms. Cutkomp was 91 years old. Send flowers to express your sorrow and honor Gladys M's life. It was revealed on July 10th, 2002 that Roy M McCormick perished in Cincinnati, Ohio. McCormick was 99 years old and was born in Winfield, IA. Send flowers to express your sorrow and honor Roy M's life. It was revealed by Quad-City Times on May 27th, 2002 that Opal M Meeker (Conard) died in Winfield, Iowa. Ms. Meeker was 91 years old. Send flowers to express your sorrow and honor Opal M's life. The population was 1,131 at the 2000 census. 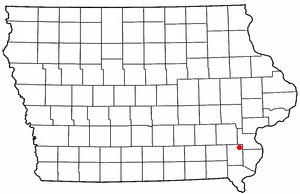 Winfield is a city in Henry County, Iowa County, Iowa, United States. . . . The official website for the city of Winfield is http://www.winfieldiowa.com/. He was selected Iowa Tree Farmer of the Year in 2003 ... Funeral services will be at 11 a.m. Friday at the Winfield Funeral Home in Albia, with Rev. Gene Kubli officiating. Burial will follow services at Hillcrest Cemetery in Moravia. Winfield, Leroy - Winfield Funeral Home, Albia, IA : Reviews and maps - Yahoo! Local, 641.932.3129. Get Ratings, Reviews, Photos and more on Yahoo! Local.